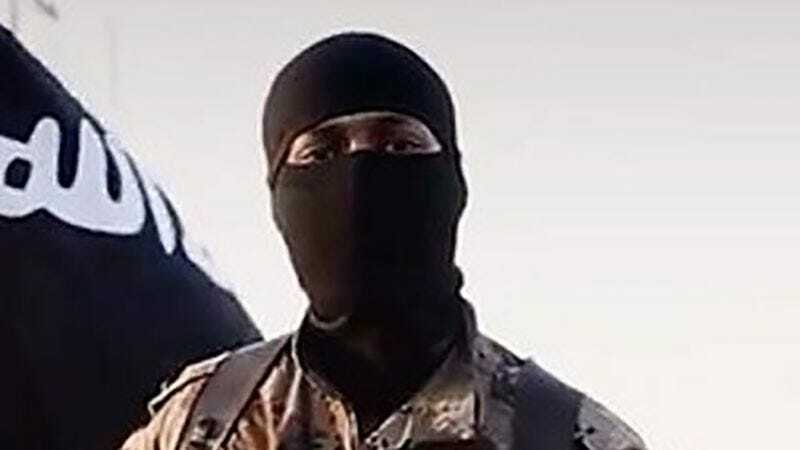 MOSUL, IRAQ—Telling reporters he had renounced his role as a militant and would soon be relocating in order to seek out an environment more conducive to fully devoting himself to his newfound religious faith, 24-year-old Huzaifa Quraishi confirmed Tuesday his recent Islamic awakening had inspired him to defect from ISIS. “A few days ago, out of nowhere, I was overcome by a profound sense of grace and connection to the divine, and I had this deep realization that offering up my life in service of Allah was my one true purpose and that I must abandon everything—my job, my community, my way of life—that isn’t in accordance with the tenets of Islam,” said the Islamic State combatant, explaining how he had never been particularly religious before his epiphany, but that it suddenly became clear to him in that moment that he needed to reorient his entire lifestyle so he could live in accordance with his Muslim beliefs and principles. “Before this, I was just wandering around lost, searching for meaning in such shallow things. Looking back on it now, the way I had been living before I awoke to the true meaning of the Quran seems so empty and destructive. Now, I’m living a life of faith, which is far more rewarding.” Quraishi went on to add that although undergoing such a drastic change in his life has alienated him from everyone around him, he takes solace in knowing that there is a devoted community of a billion and a half people out there who believe in the same things he does and will welcome him with open arms.